Matthew A. Lallo is an associate attorney at Lallo & Feldman who, in addition to general litigation, concentrates his practice on Workers' Compensation, Personal Injury, and Criminal Defense. He is a northeast Ohio native who currently lives in Kirtland with his wife, Megan, and two children. Mr. Lallo has been active in the community by volunteering his time and efforts with charitable organizations and supporting his high school alma mater, Notre Dame Cathedral Latin. 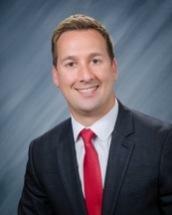 Mr. Lallo graduated from Miami University in 2006 with a Bachelor's Degree in Political Science and Italian Studies. He continued his education and received his Juris Doctorate at Cleveland-Marshall College of Law in 2009. Mr. Lallo was admitted to practice law in November, 2009. Prior to his admission to the bar, Mr. Lallo served as a law clerk for Lallo & Feldman where he had the opportunity to interact with clients, perform extensive document review, and research complex issues for the Firm's attorneys. He also had the privilege to serve as the law clerk for the City of Mentor Prosecutor's Office. While working for the prosecutor, Mr. Lallo gained valuable experience by personally conducting numerous criminal trials. "One of the most important aspects of practicing law is effective client communication. I understand that our clients' cases are the most important events in their lives. As a result, each client deserves respect and the perseverance to bring their case to a quick and just resolution. I look forward to bringing a fresh and innovative perspective to Lallo & Feldman."